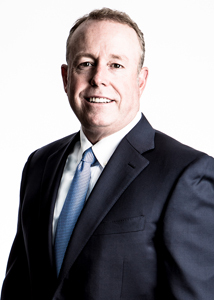 BOISE, Idaho — Albertsons Cos. has appointed former Sam’s Club chief executive officer Kevin Turner to serve as vice chairman of the board of managers at its direct parent company, AB Acquisition LLC. Turner will also serve as senior advisor to Albertsons chairman and chief executive officer Bob Miller. Turner brings extensive retail and technology experience to his new post. He spent two decades at Walmart, where he began as a cashier in 1985. He was named senior vice president and assistant chief information officer at Walmart in 1998, and two years later he was promoted to executive vice president and chief information officer. Turner was named president and chief executive officer of Walmart’s Sam’s Club division in January 2002, and he served in that capacity in August 2005, when he left to join the software giant Microsoft. Turner spent 11 years at Microsoft, where he led a number of teams, including worldwide sales and marketing, the retail stores division, corporate information technology, and operations. He lists leadership of the company’s Cloud Services adoption and the sales and marketing efforts behind Office 365 as being among his ­accomplishments. Turner has also served on the board of directors at Nordstrom since 2010. “Kevin’s retail acumen, commitment to innovation and leadership skills complement our team’s expertise and will enhance our ability to serve our customers for many years to come,” Miller said in a statement.